If appears that you have experience a server timeout which happens when a server overloads due to high volume of traffic. I have test your web page and check the buy button and able to see the form is no longer producing a connection timeout error. Can you please try checking the buy button again now and see if you are still experiencing a connection problem? If the connection issue still persist, please contact us again so we could further investigate what is causing this issue. I'm able to connect as well, no error. Kindly try clearing your browsers cache and cookies as it might help. The online form one works but not the Buy tickets one. There are two forms in this site. If you click on the Buy Tickets now it times out? This is fromn IE or Chrome and two different computers. https://www.jotformpro.com/form/31648476941969? I also built a new form to test and it fails. For some reason the only one that works is the registration one that i think yoiu have clicked on. They have wored well for months and now stopped. Are the seperate hosts that these reside on? Hello and thank you for the additional information. 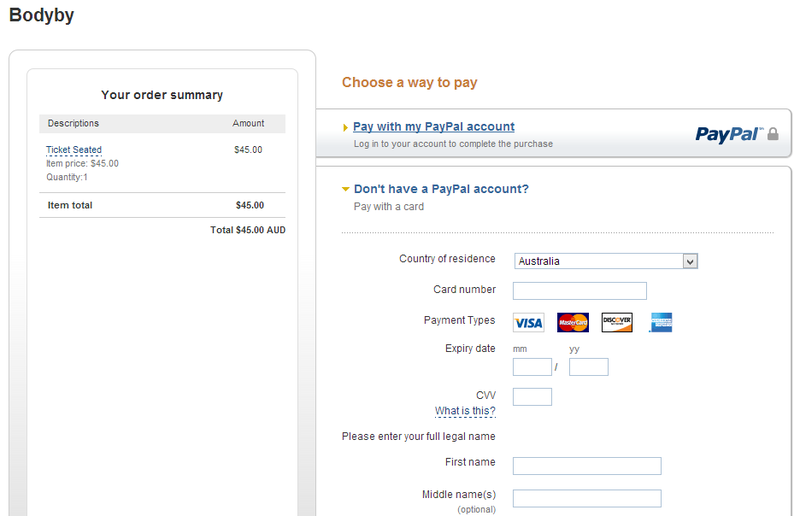 I've investigated your Ticket Form that you just mentioned and I was able to go to the PayPal Gateway to pay for the Transaction. It worked for me in the latest versions of Chrome, FF and also IE10. Can you please try again? You may need to clear your browser cache and possibly your form cache to refresh this which may help. Please let us know if you are still having Issues. Additionally, yes we have several different servers that we use to handle many of our users and it adjusts your forms to the server based on your location and also your plan that you are using. Sorry Guys - it still has connection time out at host. I have accessed from a computer that has neverbeen to the site and it fails. Are you clicking on the Buy Tickets Now link? Will you be able to provide us a screenshot of the timed out error? You can upload your screenshot image file here. Click on the Choose File button and click Send Image. After uploading copy the link path from the Image URL box and paste it to your message when you reply. 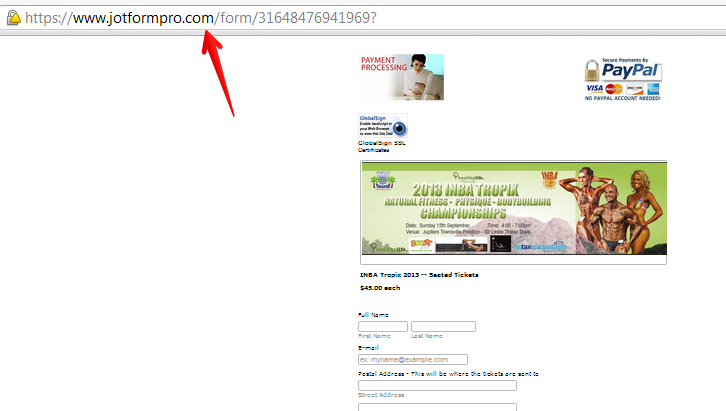 I also was able to access your INBA Tropix 2013 form with no issue using the 3 most common used browsers. Thank you for updating us Scott. We are glad to know all is good. Feel free to contact us again anytime for any assistance needed.